This 9-day hiking and biking adventure along central Chile's backroads is perfect for active travelers. You'll discover a fascinating part of the country dominated by clear lakes and amazing active volcanoes. Together with expert guides, you will pedal alongside snow-capped peaks, green meadows and stunning lakes, make visits to local indigenous villages and relax in soothing natural hot springs. The Chilean city of Pucón, surrounded by glacier-carved lakes and snow-capped mountains, is the perfect base to enjoy several days of hiking, birdwatching, and cycling. You'll climb up Mt. 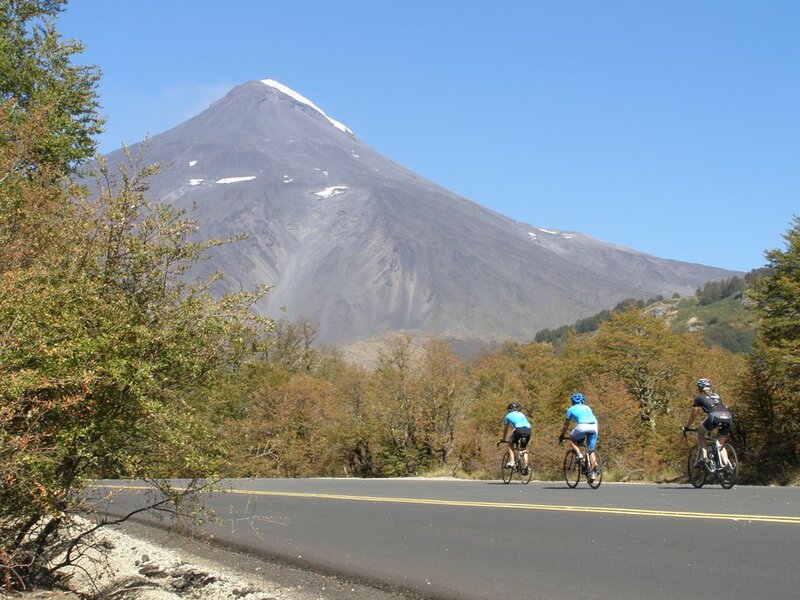 Villarrica, and pedal your way around the base of this stunning volcano. There will be opportunities for dips in hot springs and cultural interaction with the indigenous groups living in the area. 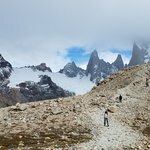 This is a great itinerary for active travelers who want to experience distance cycling and hiking in a remote corner of South America. Stroll the cobblestone streets of Barrio Bellavista. 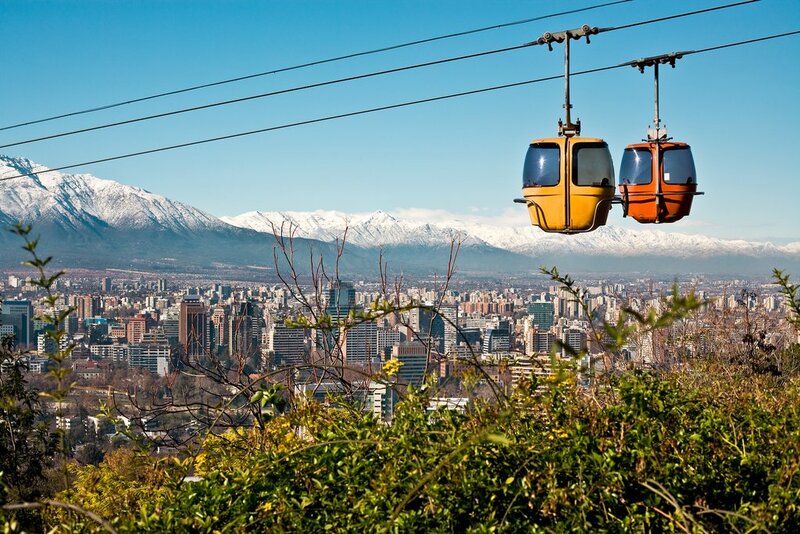 On the north side of Santiago, you'll find this trendy enclave, at once fashionable and bohemian. Stroll past colorful houses adorned with graffiti art and choose between an eclectic array of eateries and bars—great for people watching. 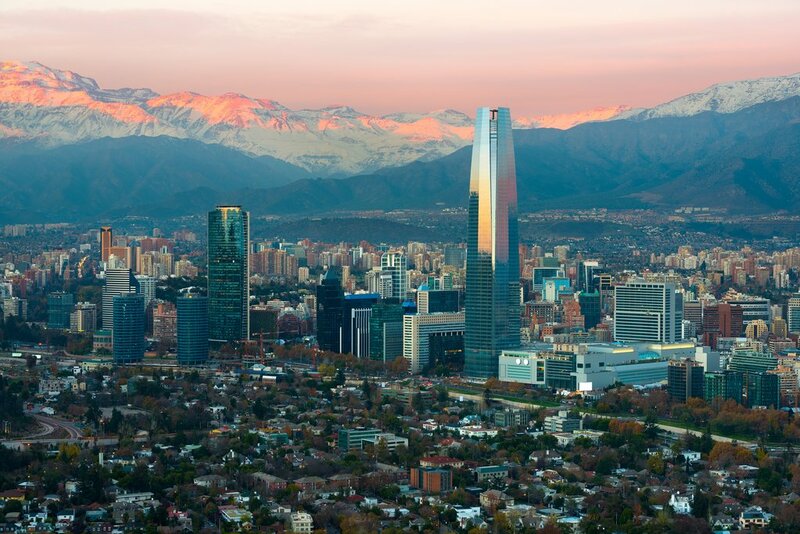 After breakfast in Santiago, transfer to the airport for your flight to Temuco. Upon arrival, you'll meet your driver and transfer about 1.5 hours to the town of Pucón. This village is deservedly famous as it sits on the shore of Lago Villarrica in the shadow of the towering Volcán Villarrica. 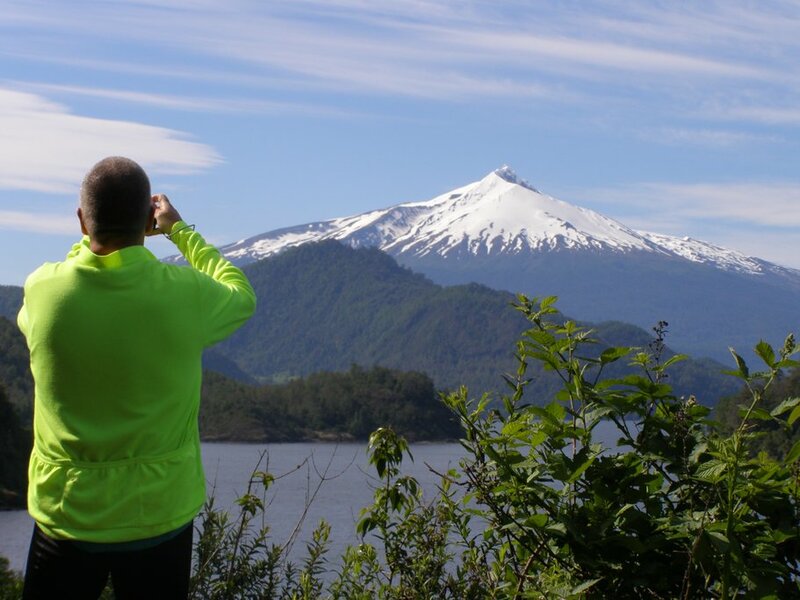 Pucón is also a popular destination for those looking for seasonal activities, such as hiking and skiing. Zip-lining is a fun activity as well, and there are a number of nearby excursions you can make from town, such as to the geothermic pools. But that's for another day. For now, if you would like to get out and stretch your legs, then here a couple options for easy activities in and around Pucón. Stroll the city center and waterfront. Pucon's main drag, Av. Bernardo O'Higgins, is the epicenter of activity in town. Here you'll find any number of bars, restaurants, and souvenir shops. Also, you can walk down the road to where it terminates at the lakeshore. Go on a boat tour around the lake. Many tour operators offer boat excursions around Lake Villarrica. This is a fun and relaxing way to experience the natural beauty of the area. Depending on the climate you'll also be able to take a dip in the water. Dine out. Because Pucón is such a hotbed of tourism, many quality international restaurants have opened up to cater to the crowds. In this town, you'll find everything from sushi to Italian to Arabian to Uruguayan and Argentine steakhouses. 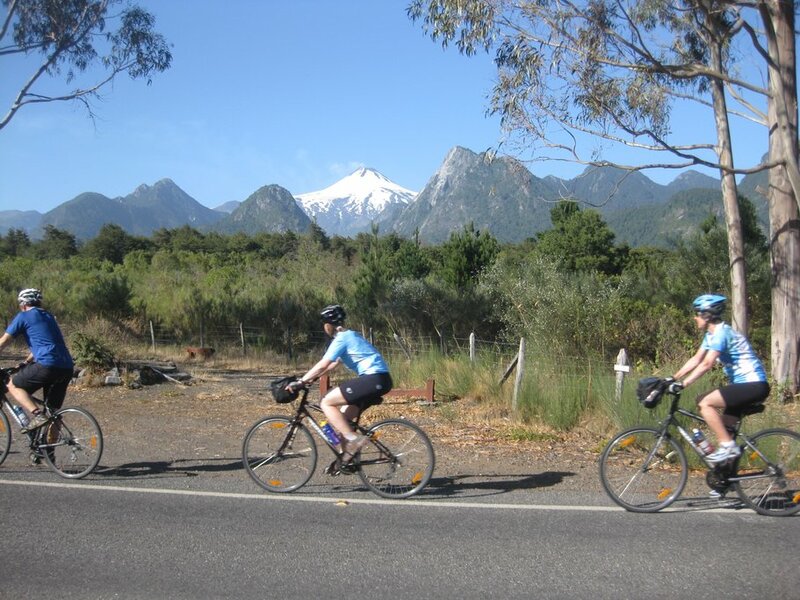 After a hearty breakfast, we'll cycle to Lake Caburgua, which occupies a glacial valley, 14 miles from Pucón. From the lake, our tour continues to an area of hot springs. Our route is one of rolling hills with a few short climbs. 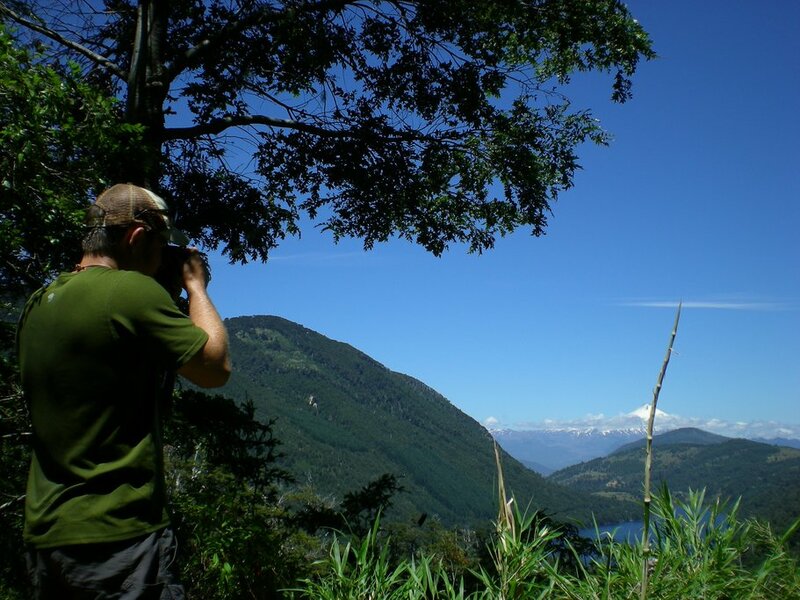 Along the way, our guides will identify the flora and fauna of the area. We will pass farms and enjoy spectacular views of Mt. Villarrica, an active volcano that last erupted in 2015. After lunch, we'll enjoy a soak in the hot mineral baths. Following our trip to the hot springs, we will travel back to the hotel by van, or you can opt to ride your bike back to Pucón. Time driving in the van: 40 min from Hot Springs to the hotel in Pucón. Today we travel to Huerquehue National Park, a temperate rain forest with a number of clear lakes and lagoons, located 22 miles (35 km) east of Pucón in the Andean foothills. We will hike to a lookout point where we can get stunning views of Mt. Villarrica and Tinquilco Lake. As we hike, the local guide will point out the local flora, which includes mutisias, orchids and alstroemerias. The area is alive with birdlife, and we'll spot woodpecker and black-throated huet-huet and tapaculo, among other birds. Above 1000 m in elevation, we will start to see araucarias trees, considered an important national symbol of Chile. After hiking 2.5 hours we'll pass Lake Chico, which on clear days reflects the beautiful araucarias trees and the snow-capped peaks. After an additional 15 minutes, we'll arrive at Lake Toro, where we will break for lunch. Birdlife we can spot here includes the Andean duck. Our hike continues to Lake Verde, from where we take a 2-hour hike back to the parking area. Overnight in Pucón. Today we get back on the bikes and cycle to the small village of Mapuche, located near the border with Argentina. Here we'll visit a cultural center and learn about the Mapuche, the indigenous people that inhabit this region. The first 28 miles (45 km) of our ride is mostly flat with just a few rolling hills. Then we climb for about 6 miles along the international road to Argentina. 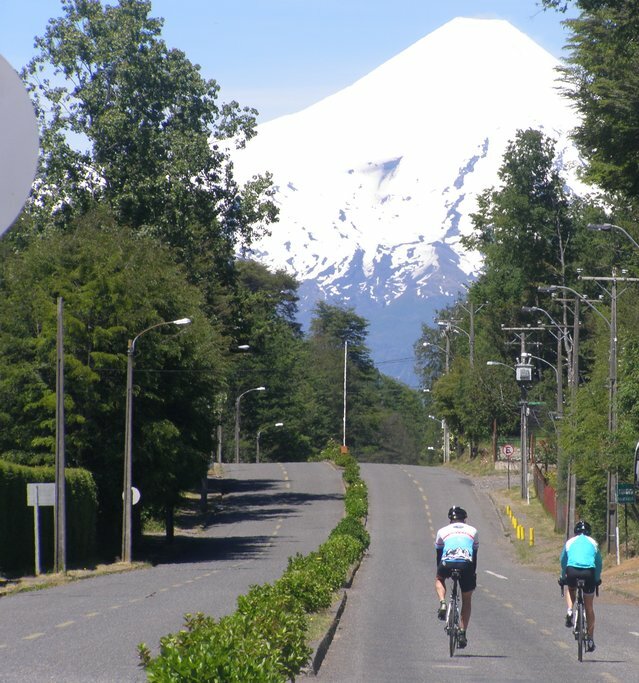 Our last stretch is a 12-mile ride back to Mapuche village, following the Trancura River. Mt. Villarica will be visible for stretches of this journey, as well as two other volcanoes: Quetrupillan and Lanín. Upon arriving in Pucón this evening, we’ll check the mountain gear for ascending Mt. Villarrica the next morning. Today we hike to the peak of Mt. Villarrica (9341 ft). We'll take a chairlift partway up the mountain to an elevation of 5906 ft. The hike to the top of the volcano is not technical, but you should be in good shape. From the snow-covered peak, we'll enjoy views of five lakes and a number of volcanoes, including Llaima (10,253 ft) and Lanín (12,923 ft). We will return to Pucón at 5 pm. Departing from Pucón, we will drive 40 miles to Coñaripe, a resort town on the shores of Lake Calafquén. From the city, we will continue another 20 miles on a dirt road along the Llancahue river valley to Villarrica National Park. En route we'll get great views of several snow-capped volcanoes, including Quetrupillan and Rucapillan. Our hike climbs through different alpine zones and eventually reaches a forest of araucarias near Chinay, the highest point of the hike at 4100 ft above sea level. After 2.5 hours of hiking, we'll reach Pichi Llancahue glacier trail where we will break for a snack. We'll hike this loop trail for another 2.5 hours, enjoying views of the ash-covered glacier. 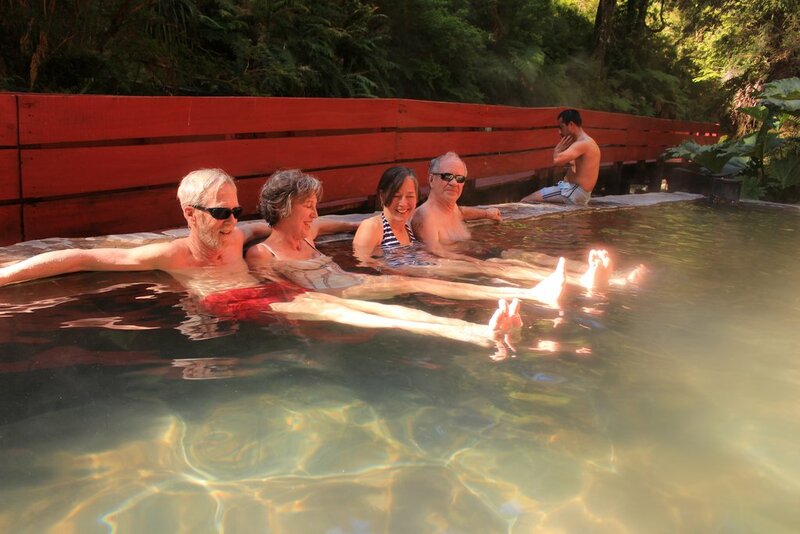 After our hike, we'll visit the Geometricas Hot Springs for a soothing soak. Return to Pucón for dinner. 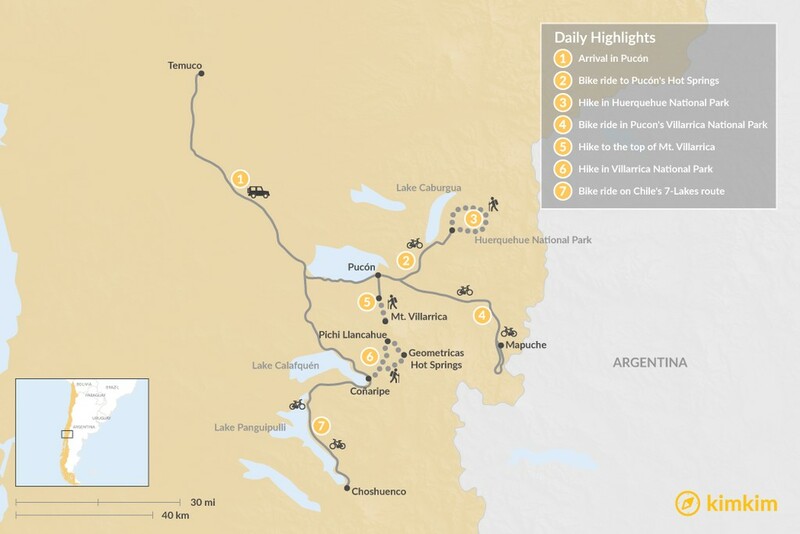 Today we will ride along the 7-Lake Route, one of the most scenic bike rides in Chile. 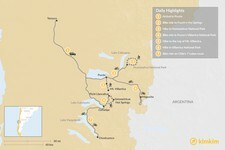 Our journey will hug the shores of Lake Calafquén and Lake Panguipulli and circle much of the base of Mt. Villarrica. At one point along the road, we will be able to see five volcanoes. A picnic lunch will be prepared by the shores of Lake Panguipulli. Our ride will continue until the paved road ends, near the village of Choshuenco, which has a fine beach. From here we will drive back to Pucón, where we will enjoy a farewell barbecue. 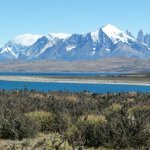 Your great Patagonian adventure has now come to end. In the morning, savor one last leisurely breakfast in Chile before a driver meets you and transfers you 1.5 hours to the airport in the city of Temuco. Here you'll catch a flight to Santiago and make your connecting flight home.